Hope you're all keeping well? I'm enjoying my last day off before going back to work tomorrow and decided to get my blog on, as I'm going to be super busy over the next two weeks. 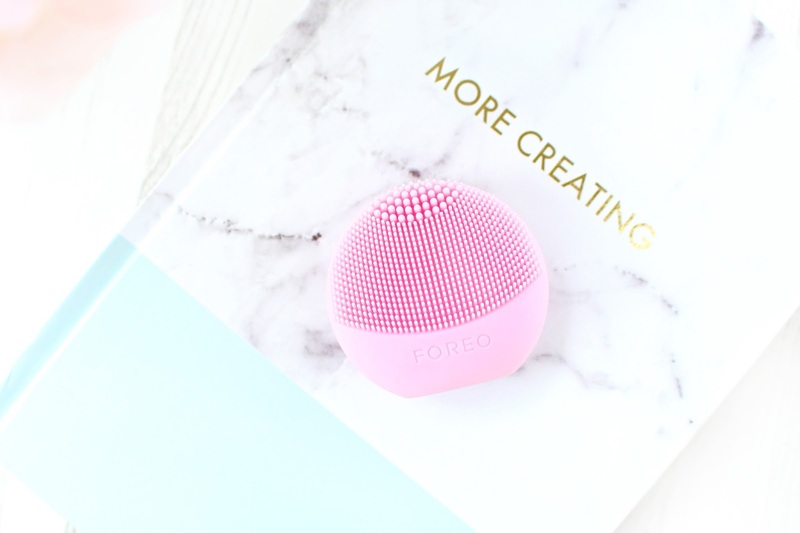 I've been really excited to write this post up, as I love anything to do with skincare and the Foreo Cleansing Systems have had nothing but glowing reviews since first coming out. I've held off purchasing one due to already owning to other cleansing devices, but when I found out about the LUNA Play, I just had to take the plunge and see what this little beauty was all about. I hope you enjoy this review lovelies and I would love to hear from you in the comments section below. You can also use my social media Icons to get in touch if you have any specific questions, or just fancy a chat! I pretty much live and breathe skincare, I'm genuinely so interested in the anatomy of the skin and how various products, textures and equipment can influence your skins natural equilibrium. In terms of sonic cleansing systems prior to the Foreo Luna Play I had used systems from Michael Todd & Clarisonic, both being fantastic... but nowhere near as cute, effective and hygienic as the Foreo Luna Play. I would definitely class myself as a skincare junkie, so the look of the Foreo cleansing systems has always appealed to me, but I suppose I never felt the need to spend £90+ on the larger Foreo, as I already had cleansing devices to use. Described as being an ultra-gentle yet seriously effective way to enhance your everyday skin care ritual, the super-cute LUNA Play generates 8000 T-Sonic pulsations per minute to help eliminate toxins and enhance the efficiency of your cleanser. The LUNA Play is made from super soft silicone, which ensures that the skin is never at risk of being damaged in comparison to some nylon bristles, which can aggravate the skin if over used. The LUNA play has 2-zone facial brush features with finer touch-points which cleanse more sensitive skin on larger areas like the cheeks and forehead, while the thicker touch-points provide a deep and precise cleanse on areas like the T-zone. 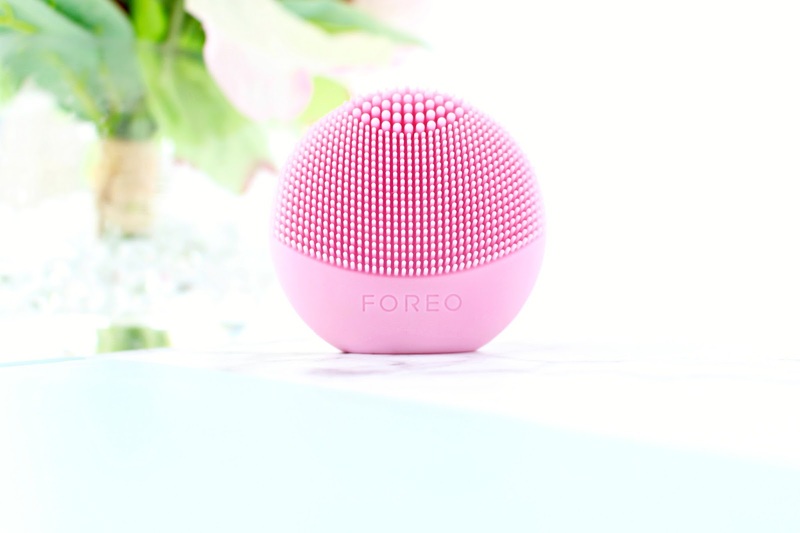 Foreo systems are also up to 35 times for hygienic, as well as removing up to 99.5% of dirt and oil, making this little beauty the perfect way to perfect your complexion without stripping or aggravating your skin. I have to admit I'm beyond obsessed with this super mini LUNA Play. It's a breath of fresh air and the fact that it's £29 makes it a much more affordable way to try out sonic cleansing. It's pretty dinky (around the size of a cotton pad) but my god does it pack a punch. I've also read a lot of reviews saying that the Play is actually just as effective as the larger LUNA systems which are over £100! The main limitation with this product is the fact that it's NOT rechargeable and has an approximate life of 100, one minutes uses. If used 2-3 times a week you could probably get 10+ months out of this, but I'm using it at least 4 times a week at the moment. Even though it does have a limited life, I do think it's worth trying out as my skin is looking so much healthier at the moment. I actually went shopping without an ounce of make-up on today, not even mascara! It also comes in an array of beautiful colours, which makes this product even more enabling! It's just do damn cute, but mighty effective too. 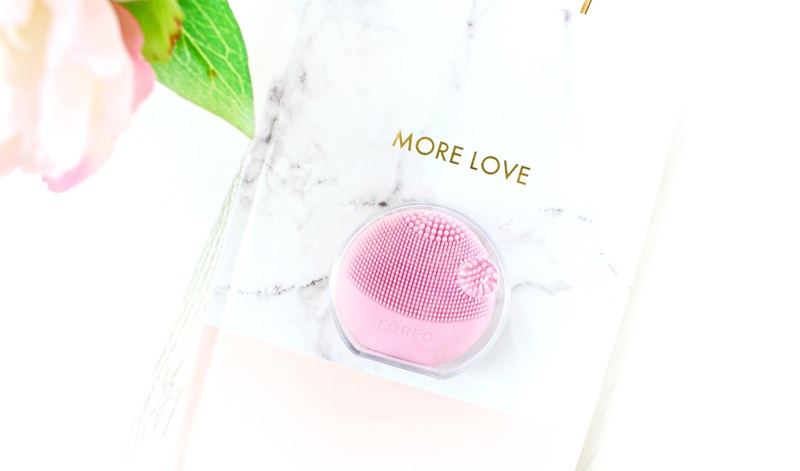 I would love to hear your thoughts - Are you tempted by the Foreo LUNA Play? I tried the Clarisonic a few years ago and absolutely hated it! It made my skin break out horrendously and it took a long time to get it back to normal. I've been tempted to try another cleansing tool recently though, now that I'm older and my skin has balanced out and the Foreo has been top of my list, considering all the amazing reviews! Luckily my skin is fine with Clarisonic/Michael Todd! However, the Foreo is just something else! It's so soft and smooth to use. I'm in love! I'm so happy that you did a review on this - thank you! I've been wanting to know about the Luna systems and didn't even know they did a mini version. I'm so much more willing to spend this kind of money to test it out.